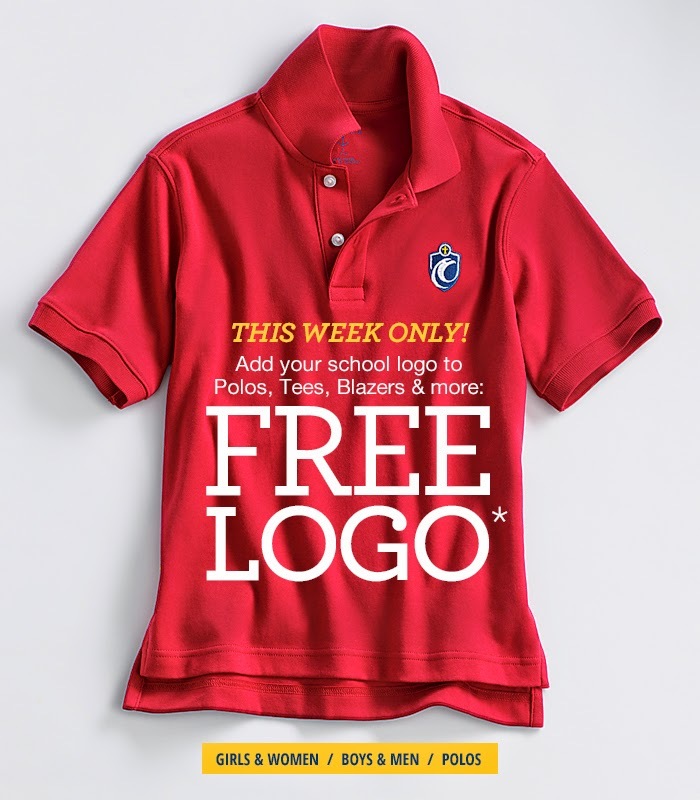 How to get your school logo applied free! Simply click any link in this e-mail and the Promotion Code and PIN will automatically be applied to your order. Or at checkout‚ manually enter the Promotion Code POLO and PIN 7014. * Limited time! School logo applied free! Offer available to all schools with a logo currently on file with us. (excludes monogramming, Lands’ End Camp and Lands’ End Business Outfitters purchases). Please allow an extra 7-10 business days for logo applications. Discount will be applied at checkout. This offer has no cash value and is not redeemable for cash. Promotional savings may be deducted from returns. Offer valid through 9:59 p.m. Central Monday, July 14, 2014.